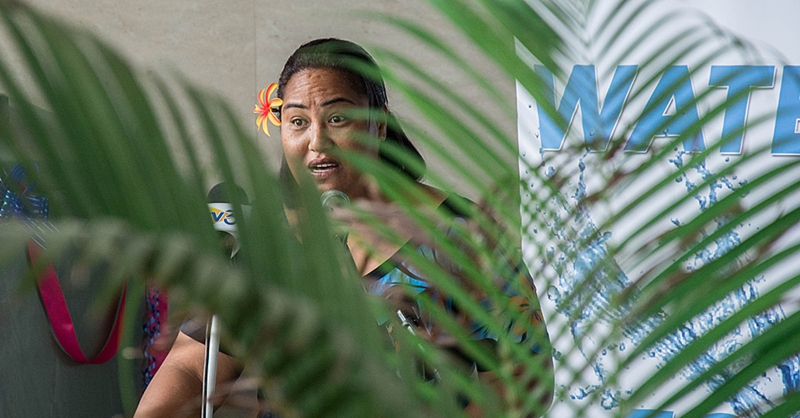 Samoa continues to look beyond its traditional development partners with the gathering of Small Island Developing States (S.I.D.S.) in Apia this week. The S.I.D.S. Accelerated Modalities of Action (S.A.M.O.A.) Pathway offers a platform for discussion and progress monitoring, ahead of the mid-term reporting on the pathway due late next year. 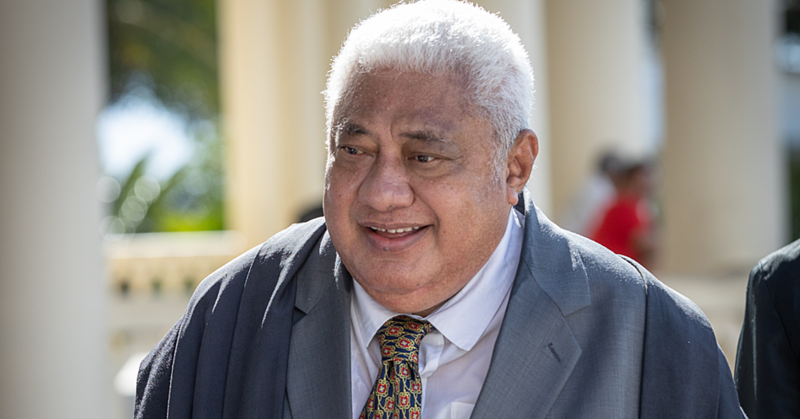 Samoa’s Minister of Finance Sili Epa Tuioti said he is glad for the opportunity to reflect on the progress towards strong partnerships across the nations. The partnership dialogue sessions this week are about “increasing the capacity of stakeholders in forging new, genuine and durable multi-stakeholder partnerships, and strengthening the monitoring and review process of partnerships in S.I.D.S.,” according to the United Nations website. 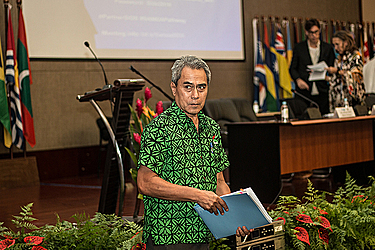 Sili said Samoa is reaching further than traditional development partners like Australia, New Zealand and the like, but partnering with European nations and similar countries to Samoa. “Having the Deputy Prime Minister of Romania, Ana Birchall here is positive,” he said. Among the critical reasons for strong partnerships between S.I.D.S. is the increasingly damaging impact of climate change. Sili said he hopes to learn from Caribbean countries from their cyclone experiences, for example. “[Climate change] will be one of the most serious threats we have to face over time. It’s something that, depending on the severity, we may need a lot more resources than we currently have access to,” Sili said. 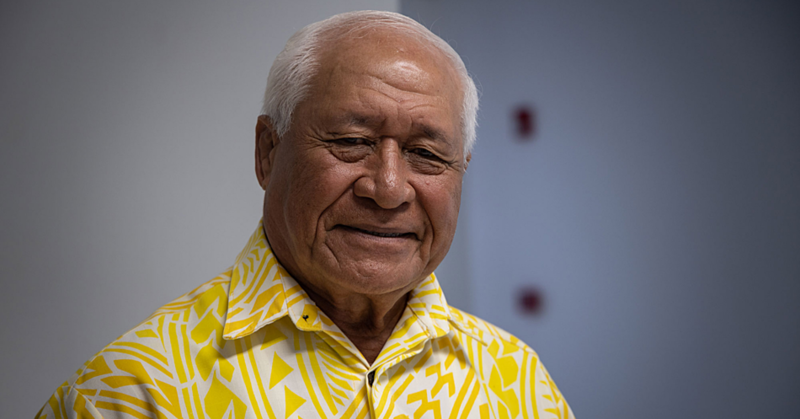 He said discussions on regional or sub-regional climate change facilities are in place, as well as a continuing dialogue with the Asia Development Bank on establishing a disaster relief fund for Samoa. “We are discussing a resilience fund in the development bank, where we put in money so that when disasters hit we have immediate access to funds,” he said, adding the funds would be in addition to humanitarian relief. “How do we ensure when a disaster hits that not only do we receive humanitarian help, but that we have sufficient resources to rebuild our infrastructure? “How do we support the communities that don’t have access to finance to rebuild their homes? Obviously that’s very critical for us,” said Sili.